Hudson's Bay is in talks to buy struggling U.S. luxury retail chain Neiman Marcus, the Wall Street Journal reported on Tuesday, citing unnamed sources. The newspaper reports that Neiman's owners — the Canada Pension Plan Investment Board and private-equity firm Ares Management LP — are holding sale discussions with the iconic Canadian retailer. The sources say that Hudson's Bay is looking for a deal that would give it control of Neiman Marcus but wouldn't involve assuming the company's debt. Last month, there was a media report that Hudson's Bay was eyeing to take over another American retail chain, Macy's. 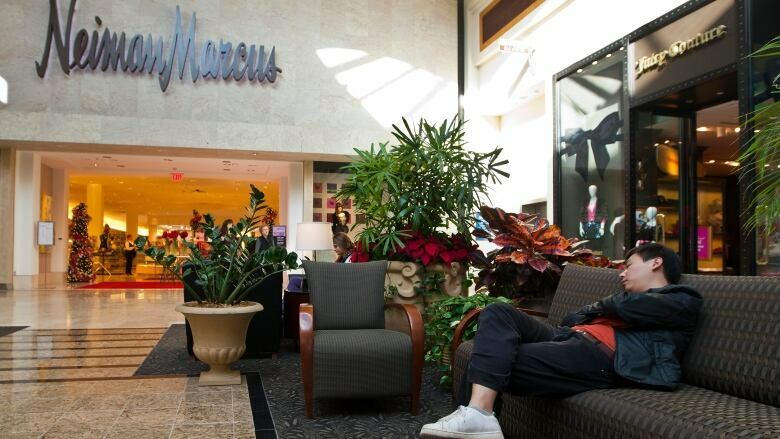 Neiman Marcus says it has hired financial advisers to help it "explore and evaluate potential strategic alternatives" which may include the sale of the company. It added that it will not make any further comment unless a deal is struck. Hudson's Bay says that as a matter of company policy, it does not comment on rumors or market speculation. "Generally speaking, as we have previously stated, we selectively evaluate opportunities to accelerate the company's strategic growth while maintaining or enhancing its credit profile," it said in an email. Founded in 1670, Hudson's Bay operates more than 470 stores under banners such as the Bay, Saks Fifth Avenue, Lord & Taylor, Gilt, and SAKS OFF 5TH. It also owns Galeria Kaufhof, Galeria INNO and Sportarena in Europe. Shares in Hudson's Bay were down 1.85 per cent, or 22 cents, to $11.67 on the Toronto Stock Exchange in mid-morning trading.